Chris joins us to discuss his families experiences cruising Concierge and in the Roy Disney suite with DCL. Christy and I had a great time talking to Chris about his families experiences cruising Concierge and in the Roy Disney Suite. 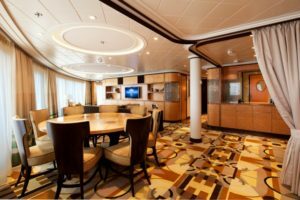 We cover everything from booking Concierge and all of the amenities that come with these staterooms.